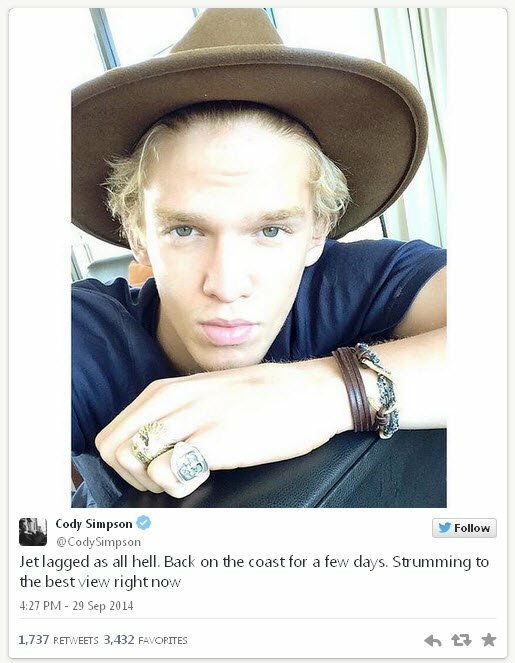 LOCAL teenage girls are scouring the Gold Coast today, in the hope of spotting popstar Cody Simpson. The 17-year-old singer announced his arrival home on social media last night. The local talent flew back to Australia to perform at Nickelodeon’s Slimefest in Melbourne over the weekend. It is unknown how long Simpson will be on the Gold Coast, before returning to Los Angeles where he lives with his family.